The mission of the Harlingen Consolidated Independent School District Student Board is to provide an avenue of participation and involvement of student leaders in the district. The Student Advisory Board will offer advice on student concerns to the superintendent from the perspective of the students of HCISD. The primary mission will be to promote the HCISD’s goals through student input into those areas that impact student performance, safety and security, dropout prevention and other areas of concern. 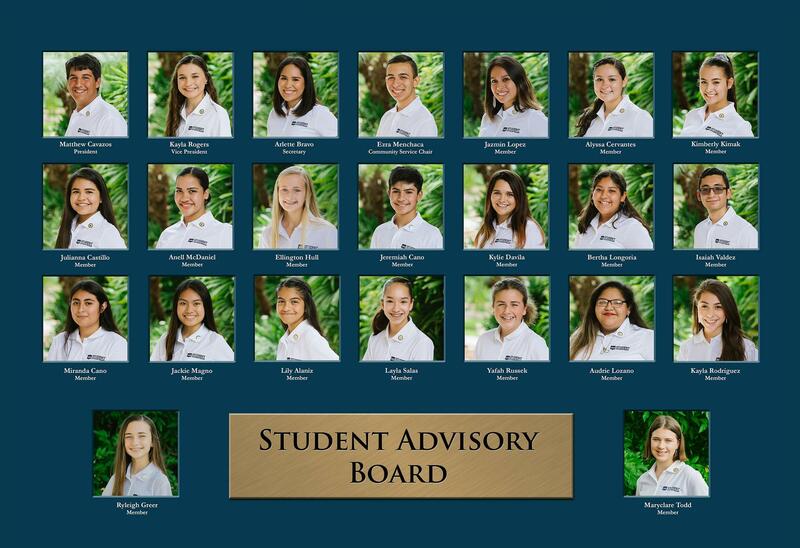 The Student Advisory Board will consist of a total of 23 students from the Harlingen Consolidated Independent School District’s secondary campuses. The membership will be made up of 5 representatives from HHS and HHSS, 3 from Cano Freshman Academy, 1 representative from KEYS Academy, 2 from ECHS, 2 from HSHP and 1 representative from each of the five middle schools. One school year or to the conclusion of their term in office.